Disney attempted to create a new Christmas TV animated special tradition back in 2009 with the release of Prep & Landing. In many aspects, they were successful, as the special got good ratings, sparked merchandise sales, and received quality buzz. The half-hour show promoted a new animated short the following year, and eventually led into a 2nd half-hour show in 2011: Prep & Landing: Naughty vs. Nice. 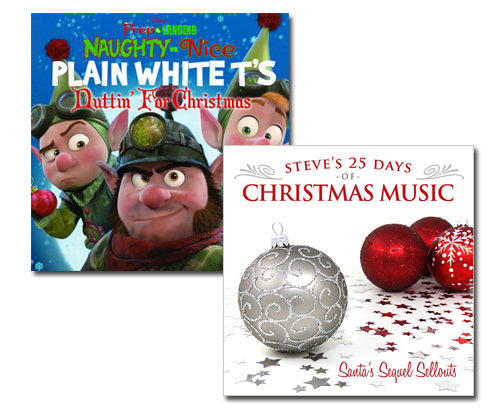 Today's song — Nuttin' for Christmas — is pulled from the soundtrack of that sequel, performed by Plain White T's — who coincidentally are signed to a Disney-owned record label and have their publicity handled by the Mouse. Go figure.